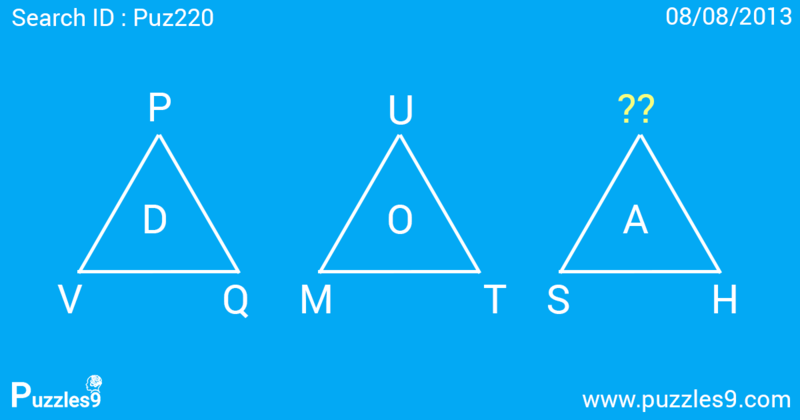 Add the reverse alphabetical value of the bottom two letters of each triangle and subtract the reverse alphabetical value of the top letter to give the value of the middle letter in alphabetical order. So, 5+10 – 11 = 4 i.e. value of alphabet value of D.